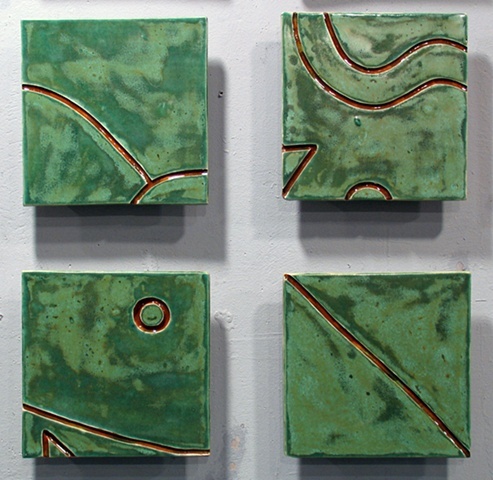 Carved ceramic tiles with wooden floating frames for easy rearrangement. Can be rearranged in any configuration, or sequence. Click on price for secure PayPal purchase. variable, shown 20"h x 20"